Have you ever had a dream that you were weightlessly gliding through the sky? For most of us.. is is simply a figment of our imagination, but for professional pilots this is their life. They get paid to live their dream! "For me, being a pilot is having a job that I look forward to," said Robby Timmons, sales director for Tyler International School of Aviation. "It's what I've wanted to do since I was a little kid." There are literally dozens of jobs that one could have as a professional pilot, some of which are not commonly thought of. Opportunities include crop dusting, photography, banner towing, T.V. and radio traffic watch, law enforcement, flight instructing and airlines, just to name a few. For members of the Armed Forces, transitioning to a career in aviation has always been a popular choice, and now just might be the perfect time to turn your fantasy into a reality. For those who already have flight time, Whether its helicopter or fixed wing, your experience and military background will prove to be extremely valuable in this industry. Flying two-by-two in Katanas, flight instructors for Flying Colors Pilot Training show students navigation skills. Some people might be skeptical about beginning their training at a time when many airline pilots are being furloughed. But according to Michael Bland, general manager for Flying Colors Pilot Training, the aviation field has always gone through economic cycles. He explained that it will take a few years before you are truly qualified to be hired by any major airline, so now is an opportune moment to get a head start. "The best time to start your training is when the industry is in a slump," said Bland. "When the economy picks up again, you will have had the chance to become fully trained and ready to be hired." Timmons agrees that this is the prime time to get into the flying profession. He explained that it has always been a growing industry and noted that in the next six to eight years 40 to 50 percent of airline pilots will be retiring, leaving the industry with a huge pilot shortage. "One of the benefits with starting now is that even though the major airlines aren't hiring, students are able to get their training and flight hours out of the way," said Timmons. "It probably won't be much more than two years before airlines start a hiring frenzy again. And when that happens there will be an influx of people signing up for pilot school but right now the schools aren't overloaded and are able to provide more comprehensive instruction." Although there is no exam to enroll in a pilot training program, FAA (Federal Aviation Administration) regulations requite you to apply far a Class II Medical Certificate prior to flying solo. There are three classes of medical certificates, Class I, II and III, each having certain standards, which vary according to the license that the pilot holds. 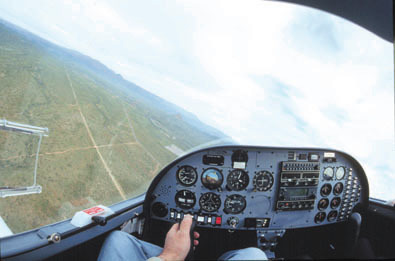 A pilot must under-go frequent medical examinations to maintain these licenses. This Vector Training System used by Flying Colors Pilot Training simulates their new fleet of Diamond Katana DA20 model aircraft. FAA regulations also state that pilots cannot receive compensation or hire for the operation of an aircraft without holding a valid Commercial Pilot certificate. In order to obtain your Commercial Pilot certificate and become a licensed professional pilot, you must first receive a Private Pilot certificate, or the equivalent, and an Instrument Rating. According to Bruce Long, flight instructor at Flying Travel Express Aviation, LLC. there are generally two programs used to receive your commercial license, Part 61 and Part 141. A Part 141 class will have multiple students and is similar to a college course, whereas, Part 61 is individualized, one-on-one instruction. "It's all really up to the student," said Long. "Some people are able to learn better in a college environment and some want more personal attention. But they all get the same basic training and walk away with the skills needed to be a professional pilot." The cost and the amount of flight hours are, however, two differences among the programs. Part 61 will generally cost between US$2,000 and US$5,000 more and require 50 more hours of flight time than Part 141. The bottom line is, acquiring your pilot's license could take anywhere from two months to two years depending on the type of program and type of license that you are interested in. Time and money are also factors that will determine the expedition of your goals. "All schools are different," Timmons said. "But with a program that has you flying five days a week, six hours a day, it should take about seven months for you to complete the required flight hours and training." 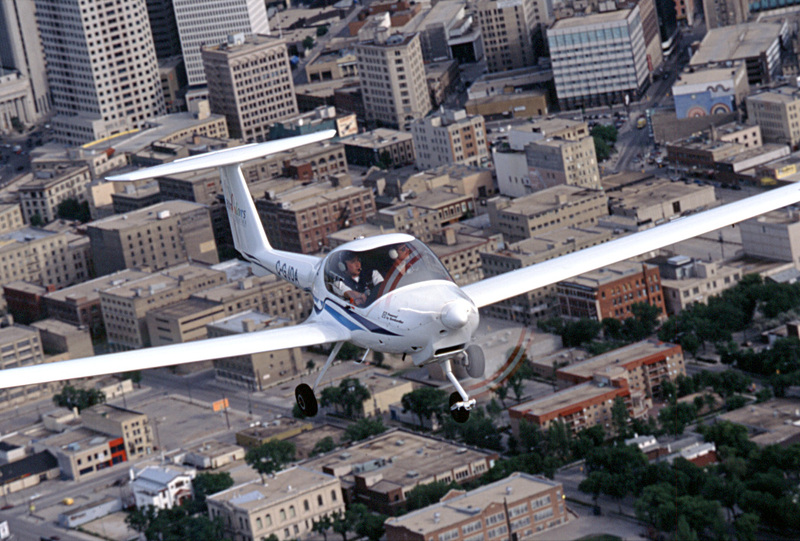 A student and instructor fly through the skies of Canada. Part 61 and 141 courses can cost anywhere from US$20,000 to US$50,000. Currently, the Department of Veterans Affairs reimburses up to 60 percent of an eligible student's tuition when they enroll in VA approved training programs. Therefore, it is important to find out whether or not the school of your choice is part of this military specific assistance, which could possibly save you up to US$10,000. In addition, each school has their own policy on tuition payments. For example, some schools may require the full cost of the program before enrollment while others may only require that the cost for flight time be prepaid in full. There are many pilot training facilities out there, the key is to spend time researching the different schools and programs available. Look over all the options they offer and decide what best fits your needs. 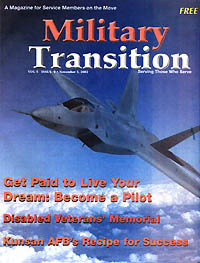 According to Eric Norber, director of admissions for Pan Am International Flight Academy, his school offers a Military Helicopter to Airline Transition program. This program takes into account all the knowledge; experience and flight hours recorded as a helicopter pilot and puts you into a "fast track" program. "It is a relatively new program, specifically designed for members of the military who have helicopter experience and want a commercial pilot license," said Norber. For pilots without fixed-wing time, the program can be completed in about 18 weeks, saving you a considerable amount of money. 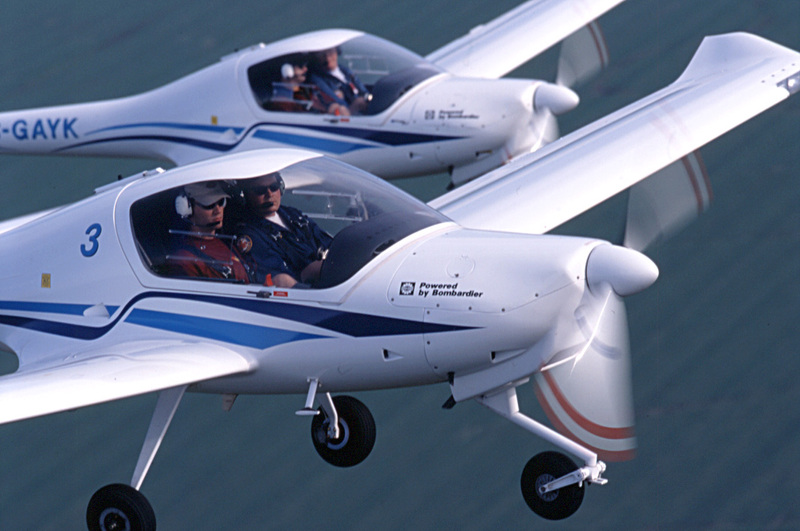 There are similar programs available for those with fixed-wing experience. "Military pilots have a marked advantage," said Timmons. "That's why it is so important to keep accurate flight log records, to get ratings and any other official documents that they might have." Timmons also advised that military pilots with fixed-wing experience take a civilian pilot equivalency test before leaving the service. He said that the test should be accessible on your installation and that this will also save you a lot of time and money. When you do begin your professional pilot course, ground training classes will be the first thing you do, followed by flight training, both dual and solo. During your training, you can expect to learn about aviation safety, aerodynamics, air navigation, advanced meteorology, aircraft systems, etc. "I enjoy navigating the weather and handling all the different challenges that flying presents," said Long. According to Timmons, now and for the next couple of years you will need between 3,000 to 5,000 flight hours to fly for a major airline, 1,500 to 2,500 hours to fly for a regional airline, and around 1,200 hours to fly a charter/freight plane. Once you have earned your commercial pilot license, there are a couple of career routes that you can take in order to gain more flight hours. One option is to get a job like banner towing or crop dusting, which require little experience. There is also the possibility of flying as a first officer for a regional airline, then upgrading to captain. Another option is to continue your education by either joining a program referred to as the First Officer training program or by completing a Professional Flight Instructor program. Timmons said that the most common route is becoming a flight instructor, which will require about three more months of training and cost an additional US$8,000. The job of Bight instructor is often considering a stepping-stone to higher paying flying positions. The greater the number of flying hours and the more complex the flying skills, the more varied the opportunities are for advancement as a pilot. "As a certified flight instructor, you will be able to work at any of the thousands of airports in the U.S. while earning money, flight time and a degree at a local university if you want," said Timmons. Higher education is becoming more and more important in the aviation field and having a degree essentially opens doors to other opportunities. Virtually all U.S. airlines prefer to hire college or university graduates and many will not hire you unless you have at least a two-year degree. The pay scale for a professional pilot mainly depends on what particular field you're in, how much experience you have and what airline you are working for. Jobs requiring minimal experience, such as crop dusting and banner towing, can pay anywhere from US$10,000 to US$20,000 per year. A flight instructor can earn anywhere from US$15,000 to US$35,000 per year. A regional airline pilot typically starts at anywhere from US$20,000 to US$30,000 per year and may see annual increases of about US$10,000. Once hired at a major airline, pay scales start at anywhere from US$30,000 to US$50,000 per year and will usually increase much more quickly than at the regional airlines. Maximum income at a regional airline will be around US$75,000 per year, while top captains for a major airline frequently exceed US$250,000 per year. Often times a captain will only work 10 to 14 days a month. Even though the FAA requires pilots to retire from the airlines at age 60, many pilots at age 60 and beyond find rewarding careers flying corporate aircraft, charter flights or a wide variety of other non-airline type flying. "A lot of this industry is about who you know," said Timmons. "And that is a big reason why there's a lot of pilots who are ex-military." Although Timmons, Bland and Long all had difficulties coming up with any negative aspects about being a pilot, there is the issue of family. And even though many military families are accustomed to spending various lengths of time away from each other, it needs to be discussed. "If you have a family, it can be a difficult schedule," Timmons said. "It is something that has to be weighed very carefully." Money is another possible concern. Some schools prohibit you from having a job while enrolled in their program. It is an effort to provide more efficient, intense training, however, not having any income for a relatively long time might cause some financial stress. These are reasons why it is imperative to thoroughly review all your options available before choosing a school and their class. "I got into this business because I love it," Bland said. "You get to see things that many people will never get to see. There's a saying, 'One mile of highway will take you one mile, one mile of runway will take you anywhere in the world.'"